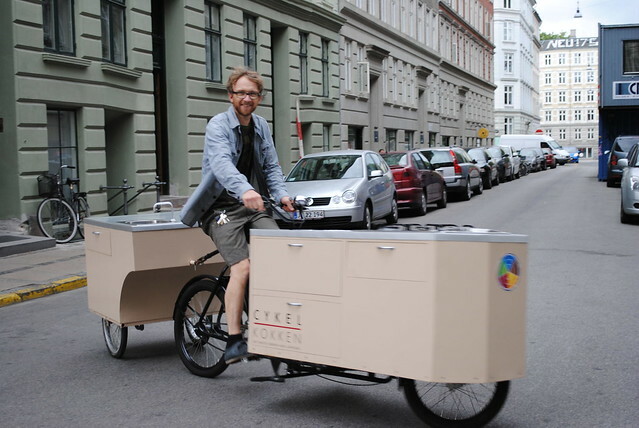 Cycle Chic®: The World's Only Gourmet Kitchen With A Puncture Kit! 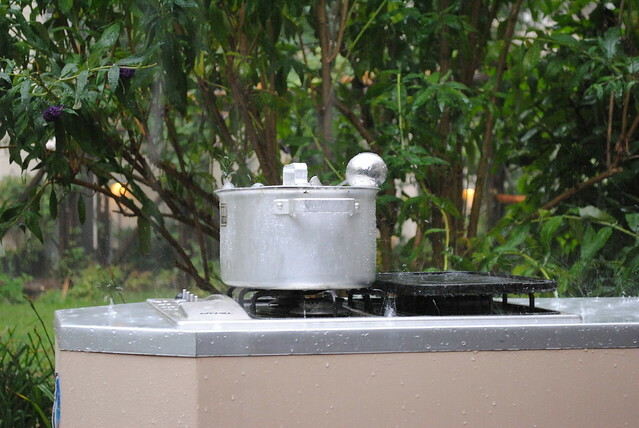 The World's Only Gourmet Kitchen With A Puncture Kit! Yes that's right - you are not being deceived, this really does exist. Morten, one of the craziest and happiest Danes I've ever met, has something that no-one else in the world has. 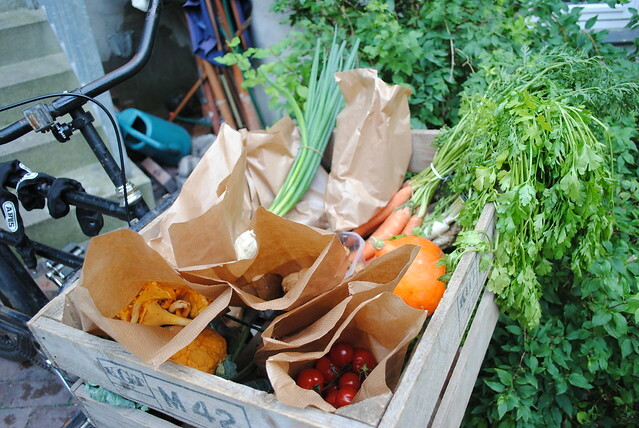 A gourmet kitchen on wheels. After twenty years as a professional chef he decided to take his culinary skills to the next level. 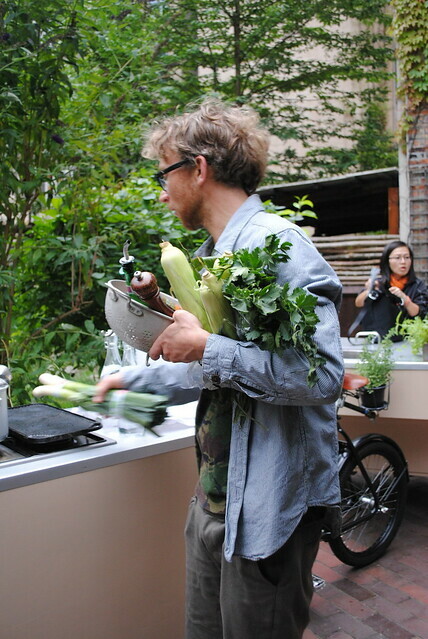 The bicycle-kitchen - the love child of combining two of his passions: bicycles and cooking. 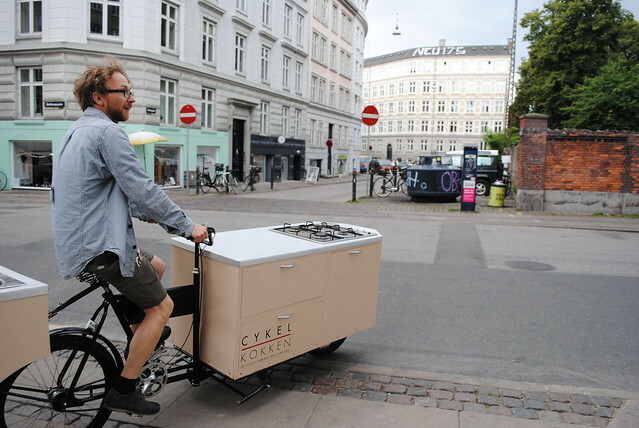 At first I didn't believe that this stallion of a bicycle-kitchen could weave through the tight and narrow streets of his Copenhagen neighbourhood. He proved me SO wrong. So how did this begin? 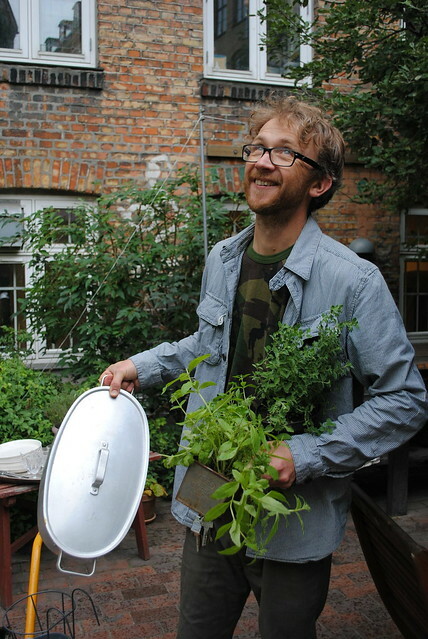 Well Morten loves to cook and as much as he loves working in a kitchen he also loves being outdoors. He also happens to have a long-established love for Long John bicycles. So one day it became painfully obvious to him to combine all of his passions: An outdoor kitchen designed on a Long John - I mean why not? 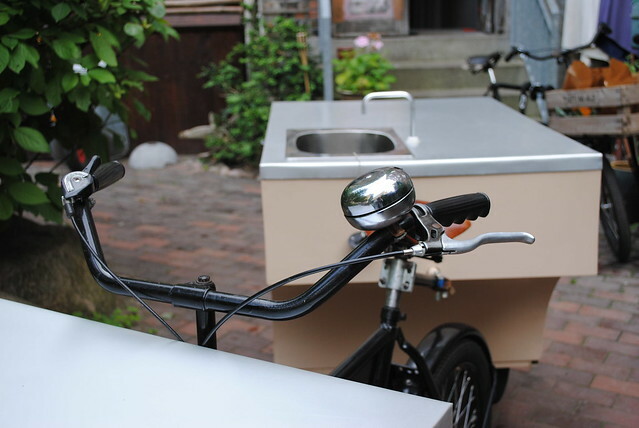 So together with a friend they decided to take on the challenge of transforming his beloved bike by adding a sink, a stove and kitchen units. Then there was that moment when we all suddenly felt a few drops of rain come out of nowhere...decision time, will the flood gates open or not? They did. And this is Denmark so it rained HARD! Not to worry as this guy is always one step ahead! 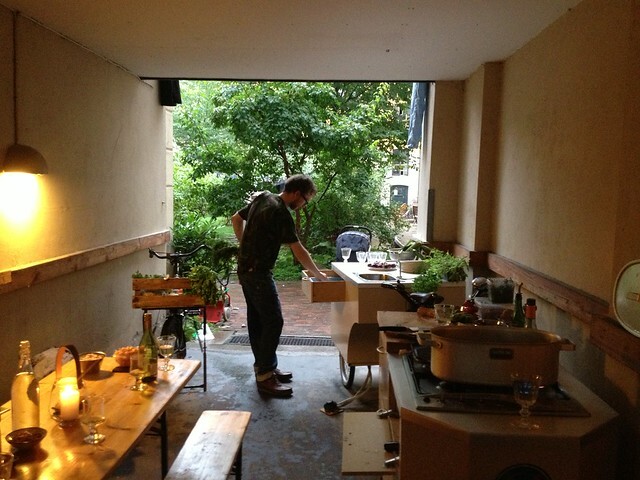 He just steered his kitchen over to an unused cycle passage and set up his dining space there. Making the place 'hyggeligt' or 'cosy' by lighting a few candles...and cracking open a bottle of vino! 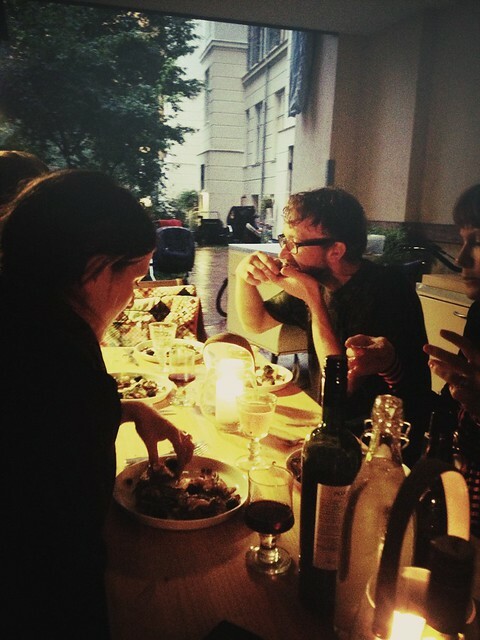 Morten has really found an alternative way to enrich his family, friends and customer's experience of fine dining. So here's a testament that some of the craziest ideas can really become some of the most ingenious and fascinating realities. Congratulations Morten - so dinner at yours next time, yeah? 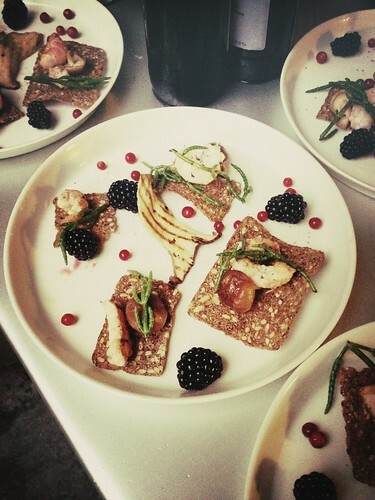 He's known as the cycling chef or 'cykelkokken' - don't forget to like his Facebook page! 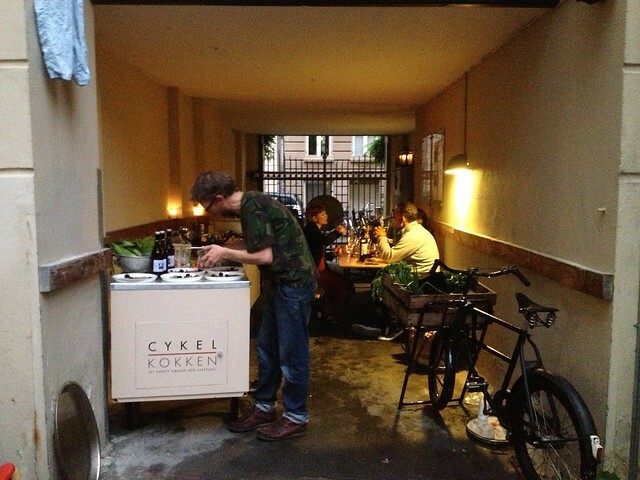 Finally the launch of the Cykelkokken website! Click Here. Amazing Danes! Just when I thought I have seen it all.....keep them coming! 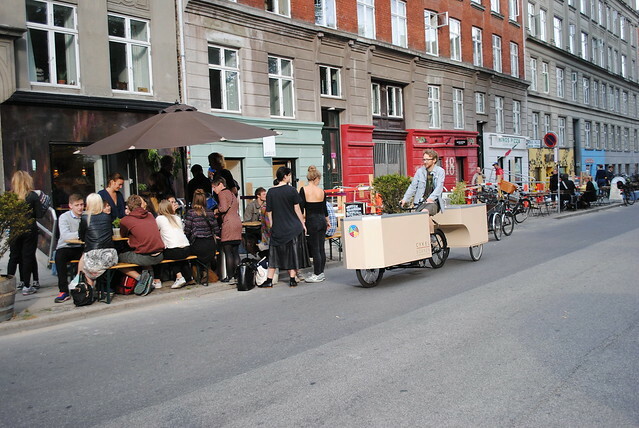 I'm not surprised anymore but it's thrilling and always an adventure for me just to open up CopenhagenCycleChic and see something I haven't seen before! This is my dream come true!!! Very cool, génial (in French) !